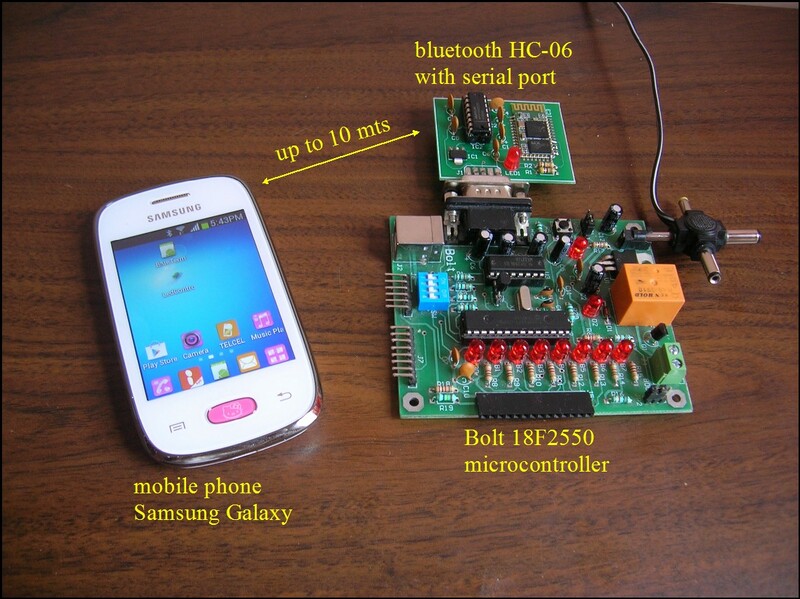 tutorial: step by step, how to pair a bluetooth HC-06 module with a Samsung Galaxy mobile phone. To enable the Bluetooth link in your mobile phone, please follow the steps outlined in this video. When you want to remotelly control microcontroller systems from a mobile phone (smartphone), you must first link (pairing) the remote HC-06 Bluetooth module with the mobile device. 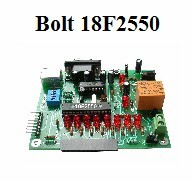 In this tutorial, a Bolt 18F2550 system is shown, with an expansion module HC-06 Bluetooth inserted into its serial port, which you want to pair with a Samsung Galaxy phone. Please connect the devices as shown in the photo below and watch the video that shows step by step how to do it. This step is essential to subsequently run any bluetooth remote control app from your mobile phone. - RFID-Module with UART serial interface, the simplest way of handling RFID. 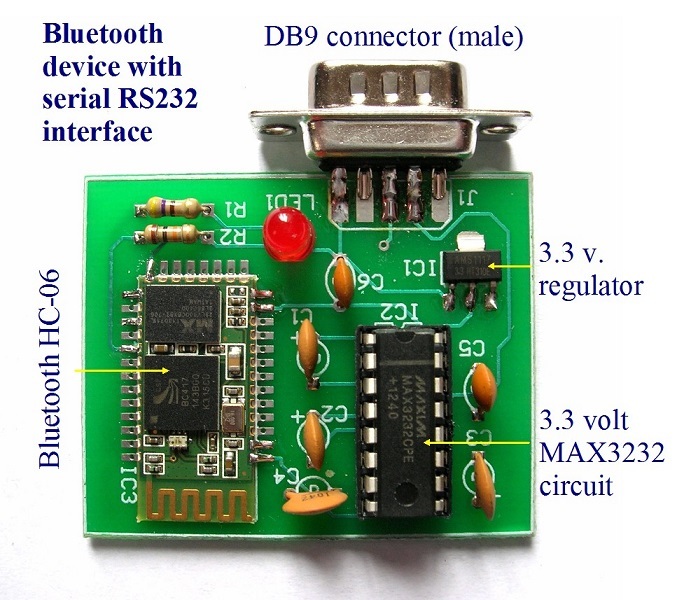 Integrated antenna and complete RS232 interface, with MAX3232 circuit. 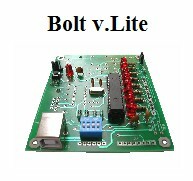 Requires a 5 volt@40 ma voltage in pin 7 of DB9 connector. Class: 2, 10 meters range. 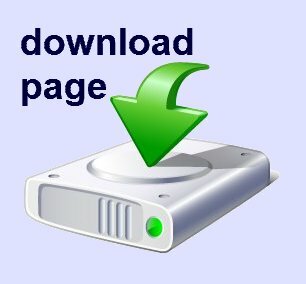 Protocol: RFCOMM, known also as serial port emulator. Easily connected to a smartphone via the bluetooth link.